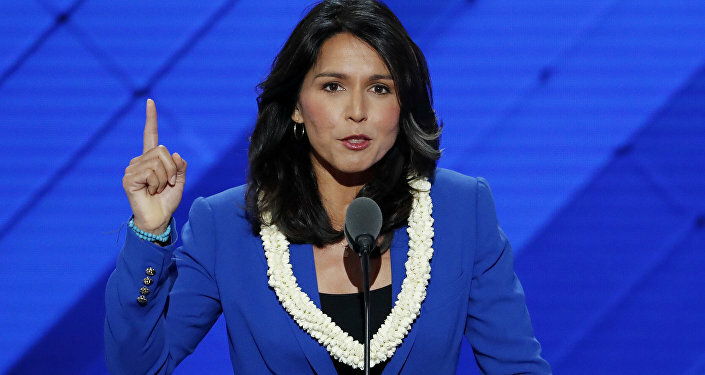 The launch of Rep. Tulsi Gabbard's campaign for president in Hawaii over the weekend became fodder for Russiagate scammers because of her "independent, anti-elitist, anti-war positions," Radio Sputnik host Garland Nixon said Monday. NBC News smeared the 37-year-old Hawaiian Democrat as the Kremlin's "crush" because the publication and the institutional players it caters to are gravely afraid of Gabbard, Nixon said after attending Gabbard's announcement ceremony. "She did not hold her fire for the Democrats or the Republicans. She mentioned the neoncons and the neoliberals by name. She staked out a completely different area of politics than any politician so far," said Nixon, who, along with Lee Stranahan, hosts Fault Lines on Sputnik Radio. ​"She called out the intelligence community. 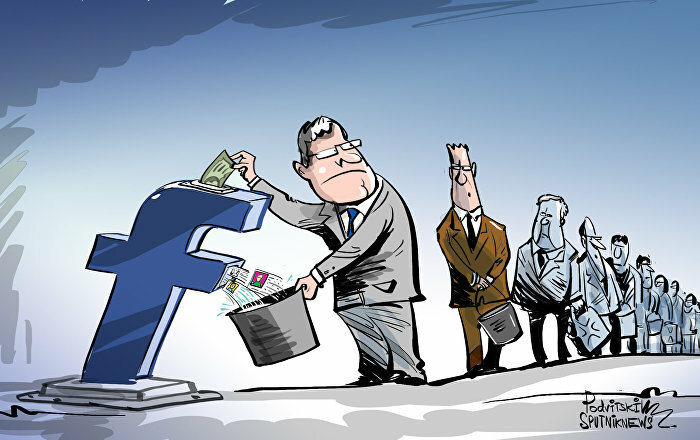 She called out the big tech companies by name," he noted. "It was a light-heartening speech for a lot of Americans who are anti-war and are very suspicious of some of the corporate and political entities in our country today," the ACLU board member added. ​NBC's smear, however, is as flimsy as the Washington Post's disastrous 2016 story about Russia hacking Vermont's electricity grid, which it had to correct multiple times; or its credulous (and now also much-amended) reporting on PropOrNot, a group of anonymous and obviously biased researchers who'd created a blacklist of supposedly Kremlin-tainted media sites. NBC's basic argument is that Gabbard gets positive attention in Russian media, but it's not at all clear that's true. To warrant the assertion that an American veteran — who happens to be a young woman of color — is the Kremlin's preferred candidate, NBC cited "analysts at New Knowledge" who claim "they've spotted ‘chatter' related to Gabbard in anonymous online message boards, including those known for fomenting right-wing troll campaigns." The decision to ask the experts at New Knowledge about this topic was an "amazing" journalistic error, writes Glenn Greenwald of The Intercept. New Knowledge previously worked for Democrats in Alabama during the special election between Republican Roy Moore and Democrat Doug Jones. 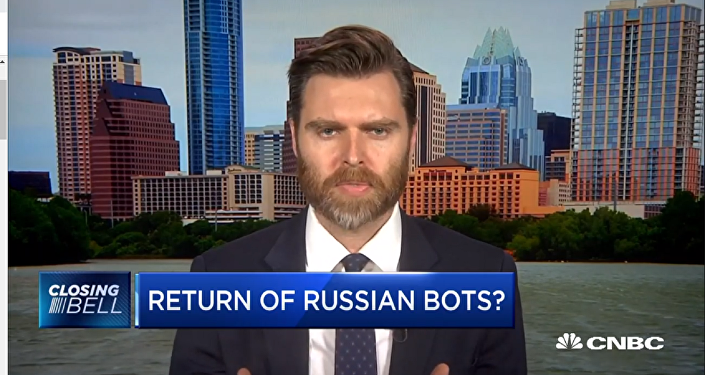 Just weeks ago, The New York Times exposed New Knowledge's operation to pose as a Russian botnet backing the GOP, thus helping the Democrats in the contest. "We orchestrated an elaborate ‘false flag' operation that planted the idea that the Moore campaign was amplified on social media by a Russian botnet," reads a New Knowledge report cited by NYT. NBC's claim that Gabbard is a uniquely preferred by Sputnik also relies on cherry-picked evidence. The publication says that "other contenders were treated more critically than Gabbard, with headlines like: ‘Don't Run': Vermont Newspaper Begs Bernie Sanders Not to Seek US Presidency in 2020." "Bernie Sanders Says Establishment Dems Attacking Him in 2020 Primary States"
"Joe Biden Tops Poll of Dems Presidential Hopefuls, Hillary Clinton in Last Place"
"One of the Front-Runners? Sanders Mulls ‘Much Bigger' Presidential Campaign"
"US Senator Warren Launches Exploratory Committee for 2020 Presidential Race"
"Controversial Dem Congresswoman Tulsi Gabbard Announces 2020 Run"
But NBC's Russiagate distraction accomplished at least one clear objective, says Nixon: to move attention away from Gabbard's formal declaration of her candidacy at a rally with her constituents in Hawaii. "I checked websites throughout the last couple days: not one mention of Tulsi Gabbard in any of them, other than to mention negative stories about her. So, it is obvious there is complete radio silence on her… and I don't think that was an accident," Nixon opined. The other expert cited by NBC News is Clint Watts, a former FBI special agent who issued a call to action at a 2017 congressional hearing, saying, "We all must act now on the social media battlefield to quell information rebellions." He advocated before Congress that what the US must learn from 2016's disinformation efforts is that the government should censor speech — the very first right the Constitution's Bill of Rights says the government may not encroach upon. 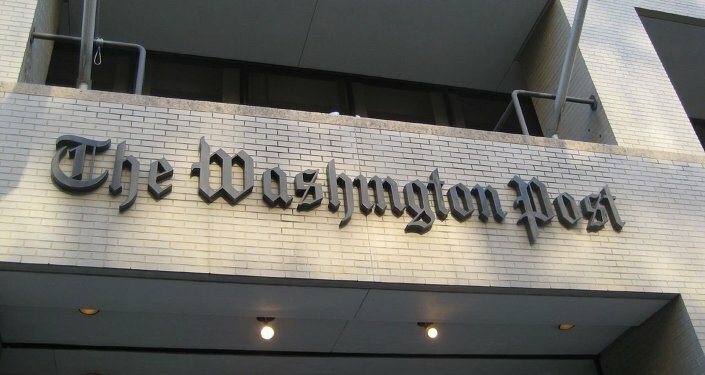 "Stopping the false information artillery barrage landing on social media users comes only when those outlets distributing bogus stories are silenced: silence the guns and the barrage will end," Watts said at the hearing. When the Washington Post did a post-mortem on the lies spread online in the 2018 midterm elections, Watts directed the blame at his fellow citizens, saying, "it's Americans in 2018" who propagate misinformation online.